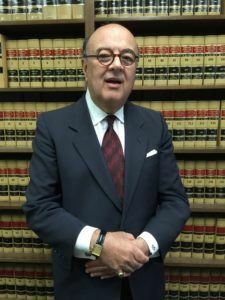 For over 25 years, Mr. Lloreda has been a chief fee arbitrator for binding attorney-client fee disputes for the Los Angeles County Bar Association. Mr. Lloreda has made final determinations as to the appropriate attorney fees relative to attorney-client fee disputes and the amount of disputed attorney fees. Furthermore, Mr. Lloreda brings a unique background in utilizing California Rules of Professional Conduct, Rule 1.5, which governs those factors to be considered in determining the conscionability of any particular attorney fee. His background relative to California Rules of Professional Conduct emanates from his assistance in the California State Bar’s drafting of the 1988 Rules of Professional Conduct. Distinguished members of the Bar are chosen to become members of the California State Bar’s Committee on Professional Responsibility and Conduct (“COPRAC”) and write ethics opinions on the California Rules of Professional Conduct. Attorney Lloreda was a member of COPRAC from 1984 through 1987, and during that time he wrote California Formal Ethics Opinion 1986-90. Law Office of Carlos A. Lloreda, Jr. is located in Los Angeles, CA and serves clients in and around Woodland Hills, Wilmington, Harbor City, Carson, Torrance, San Pedro, Long Beach, Compton, Gardena and Los Angeles County.